Lament : for cor anglais and cello / Jennifer Fowler. Lament was written in response to the death of a friend. In this piece I wanted to spin a long line of wordless lamentation. I was aiming to explore what one could say within quite strict limitations: spinning out a few notes at a time; twisting and turning; keeping up a sense of momentum and a sense of progression. Underneath, the bleak intervals of 4ths and 5ths at cadence points are used to underpin the line, but also to unsettle it with uneasy independent movement. Score: Lament : for cor anglais and cello / Jennifer Fowler. Score [ePDF]: Lament : for cor anglais and cello [eScore] / Jennifer Fowler. 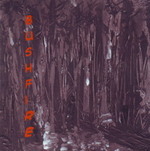 CD: Bushfire / Rachel Tolmie, Concertante Ensemble.